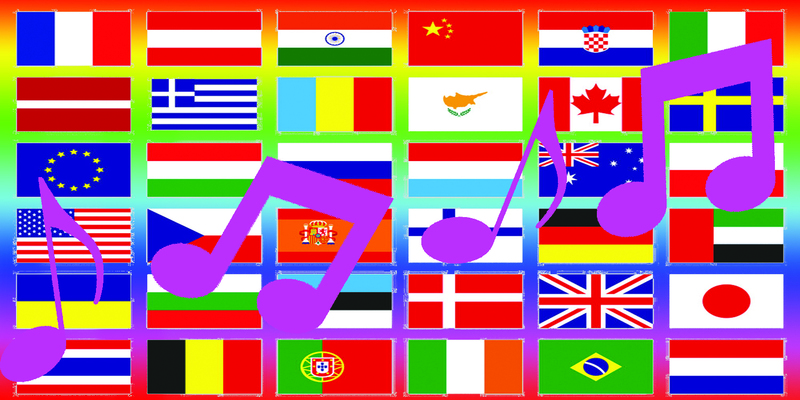 There are a large range of options if you open yourself to music in other languages. It’s no surprise that we all love to listen to music, because who doesn’t? From pop music to rap, we all have our preferences. But what about music that’s not in your native language? The language barrier is the main reason why people avoid listening to foreign music. It seems like a lot of people are hesitant when it comes to listening to music in a language they’re not familiar with. I personally don’t think there is a language barrier when it comes to music in different languages because it can open up your mind to new things about the culture within the songs. When I was young, I listened to Mbalax (pronounced as m’balaks), which is Senegalese and Gambian dance music in the Wolof language. This was the music that my mom listened to, and I would listen to the music along with her. The thing is that I didn’t speak Wolof, so I would ask my mom what certain songs meant. Some of the songs would talk about religion, culture, and Africa. Most of the songs were sung entirely in Wolof or other tribal languages in the country, with a few words in English or French, and just by understanding a few words, I learned a lot about my culture through music. Listening to music in a different language can also be helpful when it comes to learning a new language. For example, when I started to take French in middle school, my teacher decided to have a video vendredi (video Friday), where the class would watch a French music video every Friday, and she’d tell us the meaning of the song. This was very beneficial to me because I got to learn new words in French while listening to music. Although sometimes some of the singers tended to sing fast, so it was hard to grasp what they were saying. I would look up the lyrics in French and English to figure out what they were saying, and this helped me greatly. Not only can foreign music help you learn a language and understand a culture, but it also allows you to break the cultural barrier. Music shouldn’t be limited because of cultural differences. You can discover other customs and traditions through music without even knowing the language. Overall, listening to songs that aren’t sung in your native language can make you a more open-minded person. It provides you with awareness to other types of music besides the ones you already listen to, and learn the culture behind the music. So I say, why not try it? After all, music is about enjoying the rhythm and melody.